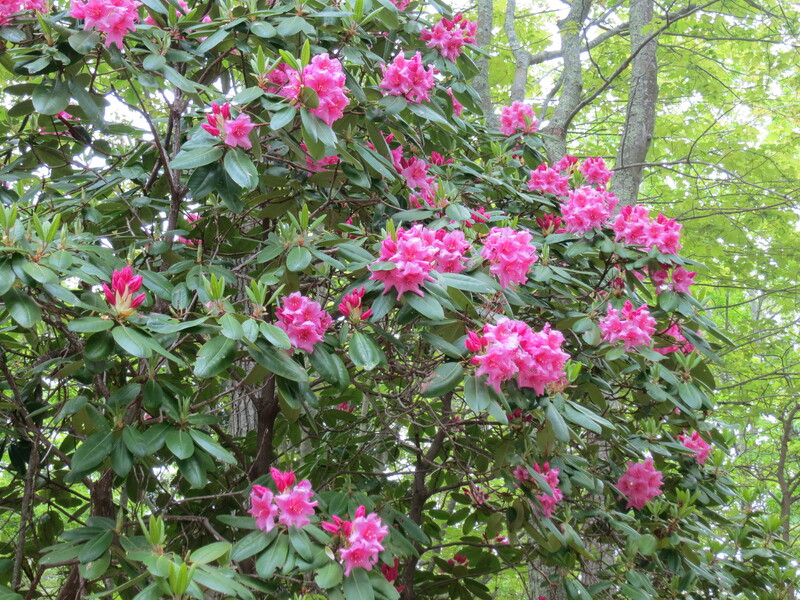 GREETINGS FROM THE LAND of rhododendrons. 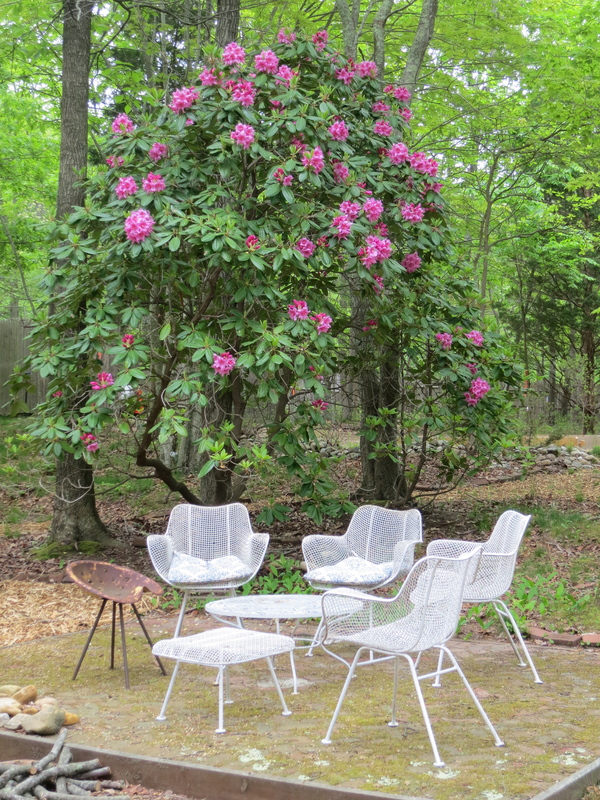 They’re pink, it turns out, the stand of old rhodies at the eastern Long Island property I bought in March — hot, gaudy pink, immensely cheering on a foggy 57-degree morning. 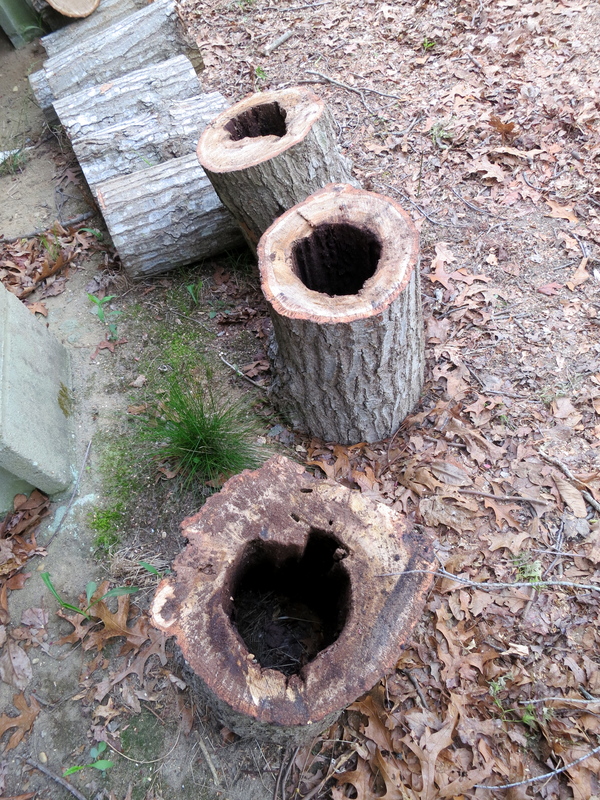 At least I think they’re termites [They weren’t. They were carpenter ants]. Yesterday’s hot weather brought them swarming out of a rotten ceiling beam in the front room that I knew would need replacing, now sooner rather than later. I conducted my own attack with a can of Raid and a vacuum cleaner; the exterminator comes tomorrow. I’ve got a space heater and a fan, which I’ve used alternately over the past few days, and a stove and refrigerator as of this morning, though the stove isn’t hooked up — the installers didn’t have the right size connector (I’m not feeling very good about PC Richard right now). The refrigerator looks monstrously huge, though I expect I’ll get used to it. 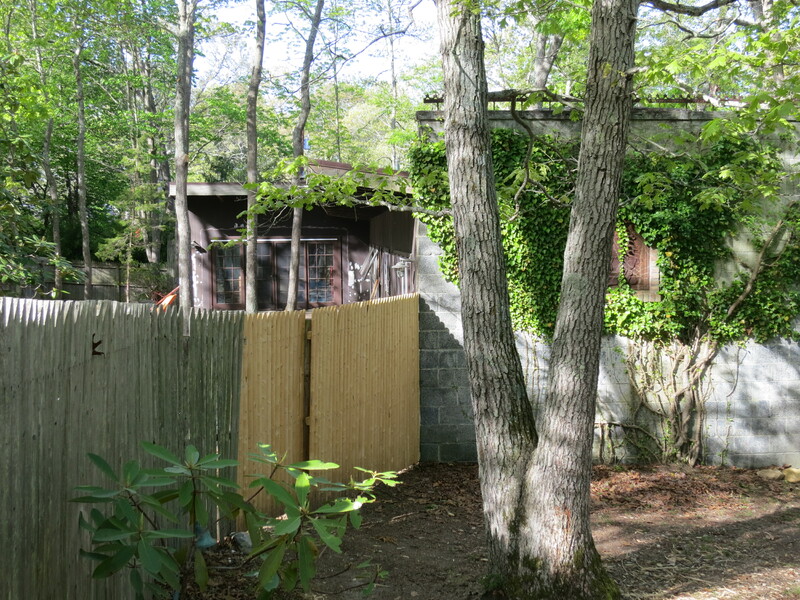 Meanwhile, I’ve stopped calling this — or thinking of it as — a “low-budget” or “shoestring” renovation. It no longer feels that way; I’ve spent too many G’s already. Nor is it even a renovation — a pre-novation, perhaps. I’m in repair mode, mainly. The on-demand hot water heater I was so excited about turned out to be irrevocably busted and in need of replacement. 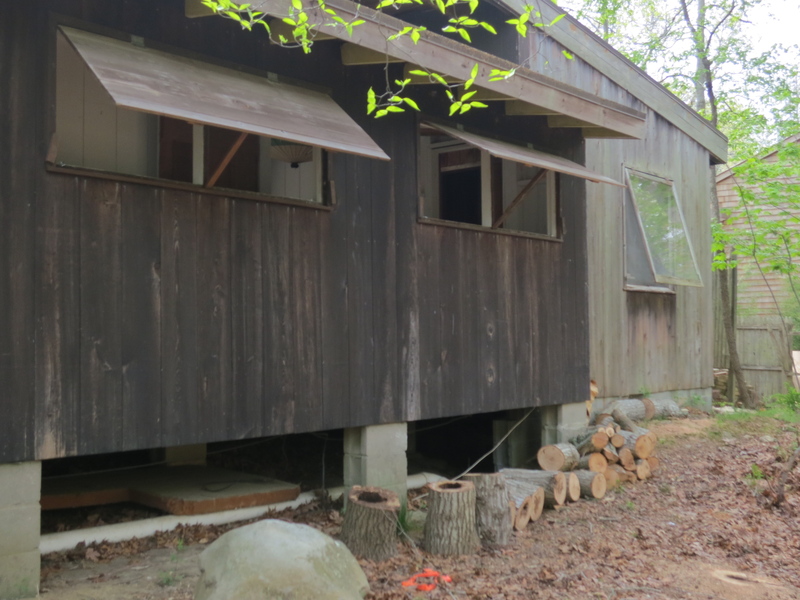 The windows are done — in the contractor’s words, “a little nightmare.” Twenty-three original single-pane awning windows dating from the 1940s, below, are now planed and re-glazed and re-hung on new galvanized hinges so that they close properly. 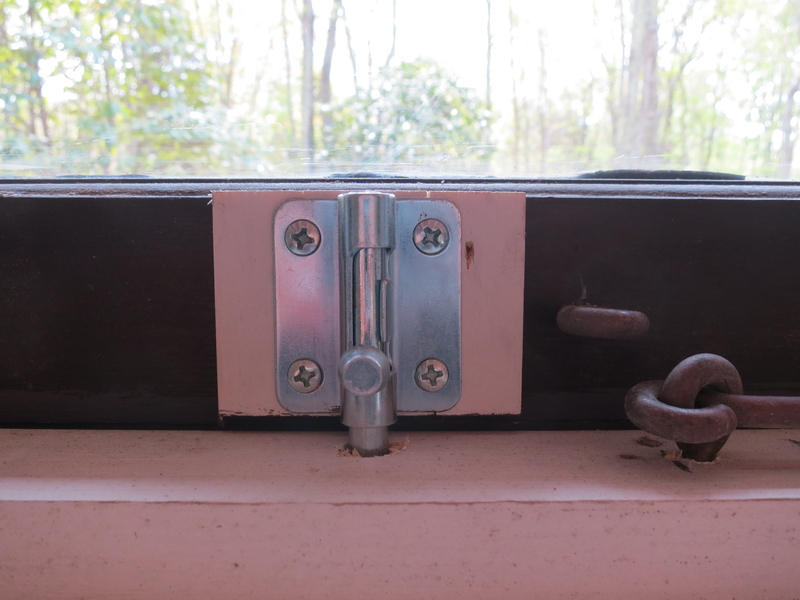 For locks, I ended up using the one fancy $24 casement fastener I had bought as a trial sample in the bathroom, below, where there’s a single window, and $4 barrel bolts from the hardware store on all the rest, having realized they do the same thing. 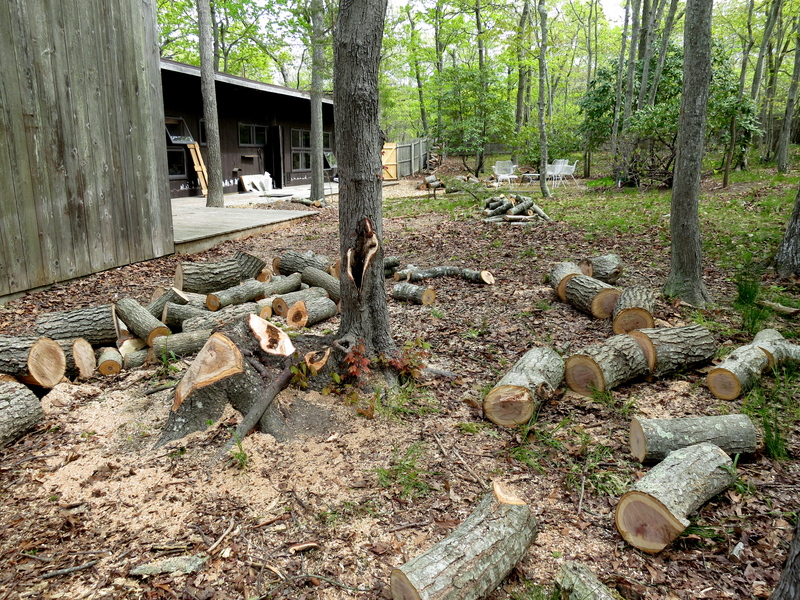 The arborist and his son put in several long days, removing rotting trees in front and back of the house for insurance and safety reasons, but also with the happy effect of making the area around the house feel less oppressive. Right in front of the deck, below, there’s now an open circle, sunny for most of the day. But what really made the place feel like home was painting the plywood floor in the “front room,” my all-purpose living/sitting/dining room/study — a do-it-myself operation involving two coats of primer and one of white floor paint I had left over from my previous house nearby. 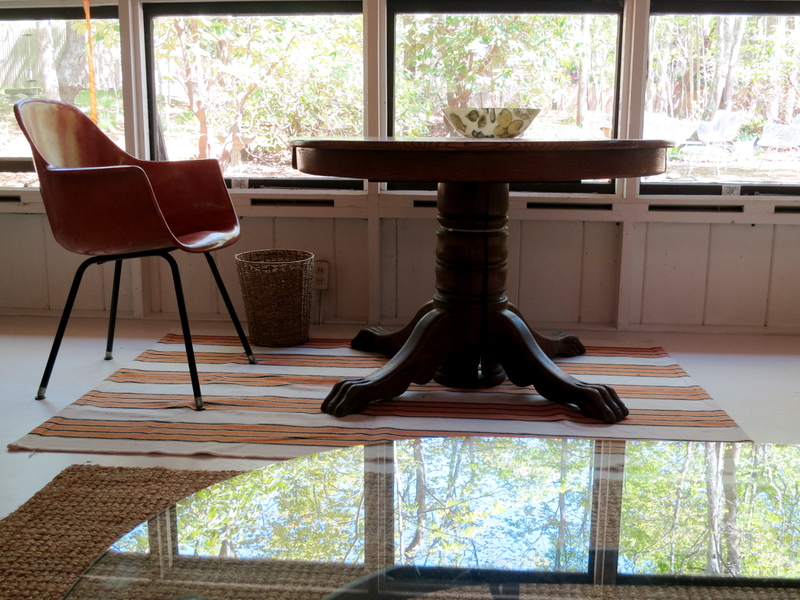 Then I threw down a few area rugs from my extensive collection and moved in whatever furniture I had left after my tenants at that former home took what they could use. 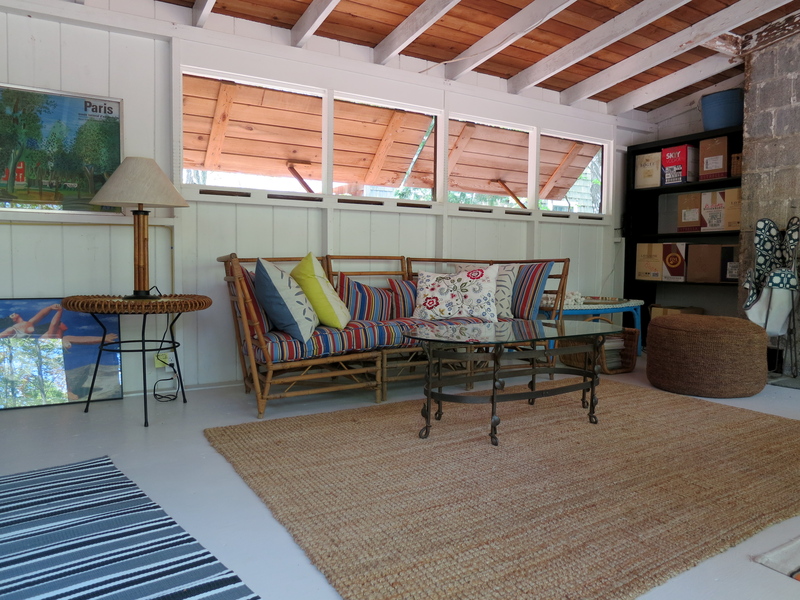 I rented that cottage ‘semi-furnished’ last winter, which means they have my sofa, dining table, and other major items, while I have a motley assortment of occasional and leftover pieces. But I’m glad to see them here. “Oh, you Cara-ized the place,” as a friend put it. The kitchen is coming together. I’m using a Craftsman tool chest bought from the previous owner (for my son, but he hasn’t claimed it yet) as temporary drawers for silverware, linens, etc. I think I liked the kitchen better, above, before the fridge and stove were delivered, below. 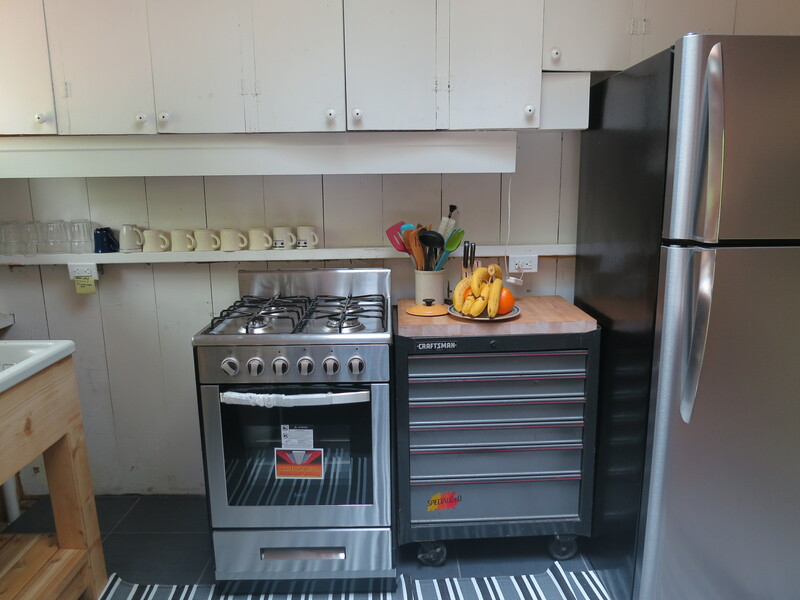 I have an IKEA stainless Flytta cart awaiting assembly for the space to the left of the stove. And that’s it; should be a serviceable kitchen. 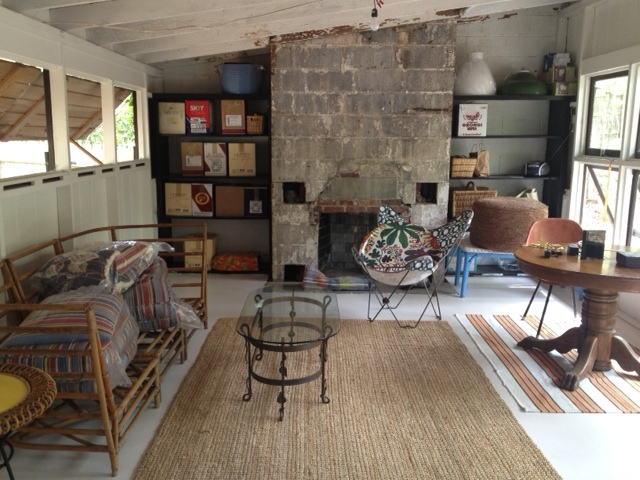 An architect friend stopped by with some good ideas, especially for the great room. It’s about 400 square feet with high ceilings, French doors on the north side, and two south-facing windows, yet it’s got deep eaves and is quite dark. 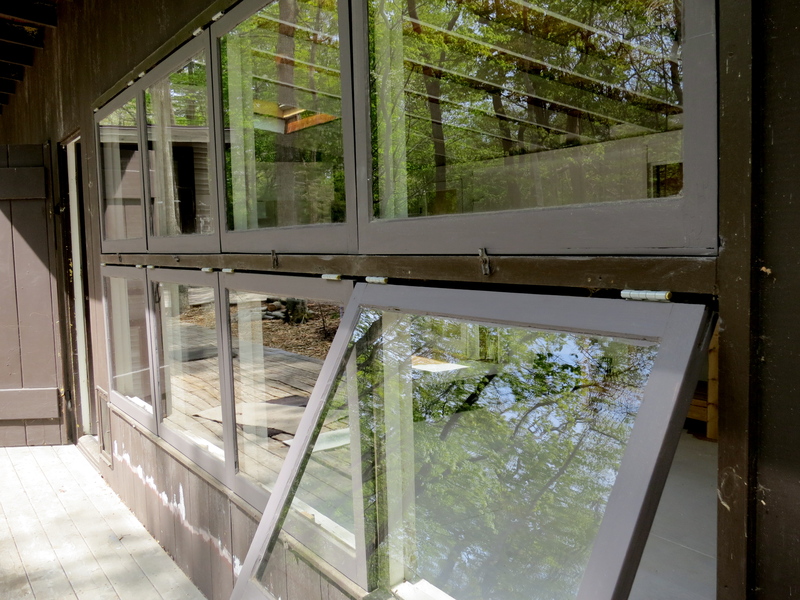 His idea was to “punch out three lights” [windows] above the French doors (you can see them in photo below), which would not be a structural issue, and “just pop in” fixed planes of glass, like clerestory windows, to bring in light from on high (that’s Phase maybe 4). The closet in the great room, we agreed, has to go. Demolition: love it. Easy, cheap, and makes a big, sudden difference. But for now, I’ve said goodbye to the carpenter, the plumber, the tree guys. Not the electrician — I still need some light fixtures installed, and outdoor lights as well. But the others have all come to some sort of natural stopping point, and so has my bank account. What’s next? Well, there’s the garden, about which I’ve done basically nothing. Sometimes I dimly recall a life that was not all about this house. But I’ve got to finish unpacking books and kitchen stuff, measure for window screens, wash the rest of the windows, buy a medicine chest and pot rack, get a proper knob for the front door and another bed or 2 for guests, set up the bathroom, get to work on the floor in the great room… that should keep me busy for a few days. 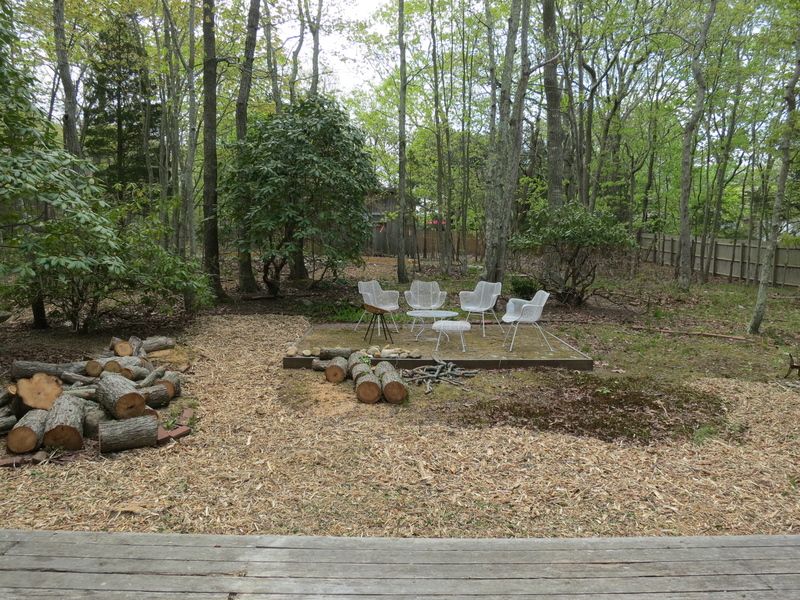 This entry was posted in HAMPTONS, LONG ISLAND, RENOVATION and tagged arborist, awning windows, carpenter ants, cottage, East Hampton, great room, painted plywood floor, prenovation, renovation, rhododendrons, termites, window locks. Bookmark the permalink. Wow, what a difference, you have made great progress over the last few weeks. It is really starting to look like a home. Wow! It sure is being CARAized. Coming together quickly! Kudos, Cara. Put that tank on Craig’s List. If the phantom plumber does not show up go to WalMart and get one of their round plastic camp poopers. $19.95. It is comfortable to sit on, has plastic zip lock bags. I used one for over a year while building a long cabin and drilling a well. 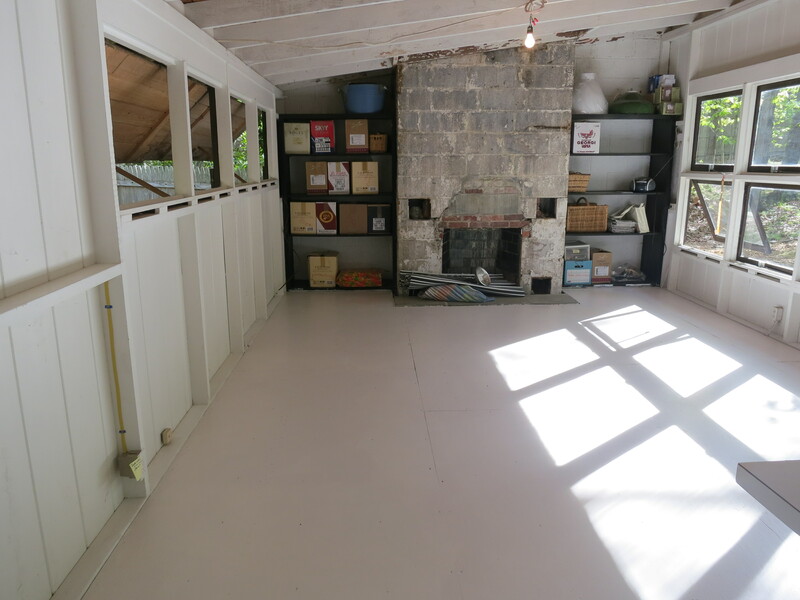 For the kitchen floor get a gallon of polyurethane and have it tinted white. I did and mine is 6 years old and holding up fine on a plywood kitchen floor with two coats. Rentals. I put touch pad locks on the rental so I would never have to deal with keys again. I use the battery keyless entry by Schlage $125 plus installation. There are two possible codes, one for the tenant and one for me. Now I can take care of service calls by phone. They just tap in my code and go in and fix whatever needs repair. 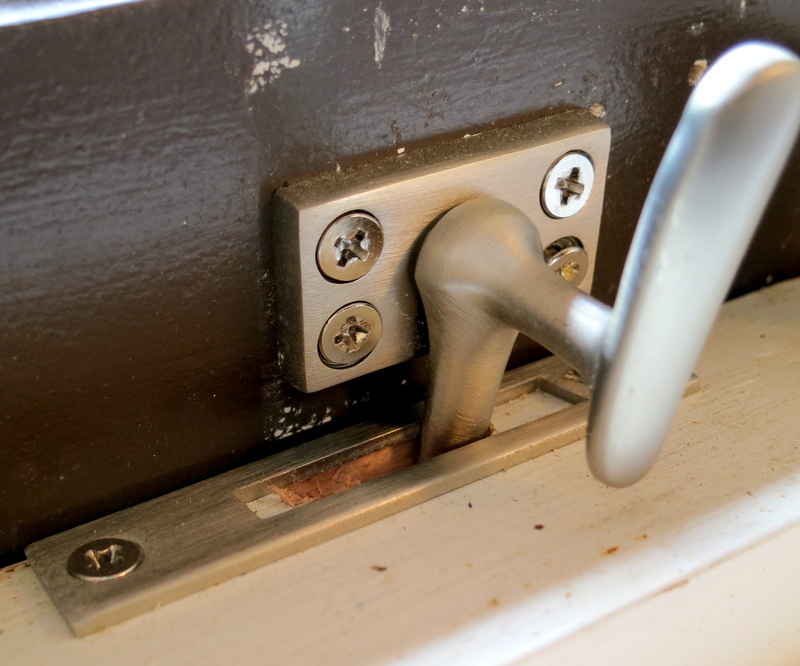 New tenants pick their code so there is no problem with unexpected “guests”, lost keys or key deposits. Some woman breaks up with her boyfriend she can change the code immediately. Also, I have my tenants deposit their rent in a checking account with my name on it. There is no question of when the rent was paid or the check got lost in the mail. I use Wells Fargo because the account is free. To distinguish between individual deposits I have a $5 difference so no two rents are the same. That way I know immediately who is late. I love your new place. It is going to be so pretty and so comfortable when you get done. I wish you all kinds of good luck. Congratulations. I can’t wait to see it. I scoured Habitat this morning for stuff I still need, counter tops, lighting, tiles and found nothing but there are a slew of water heaters… It’s so funny after a lifetime of being “settled” to be scrouging for washer and dryers, sinks and faucets and on and on… I can finally–7 1/2 months later do laundry at home. Today, an ironing board is in a new closet (IKEA) in a new laundry room. If you want to whine about termites, racoons and, now, flies…call me. What a productive way to spend a rainy and cold springtime…and the reward–a truly great home that will be a wonderful place to spend many a warm summer. So, exciting to see it all coming together: You must be thrilled! Thanks again for the good advice on local vendors. You were silent so long I knew there would be major progress when you finally spoke up. Lookin’ good. beautiful! I love that you guys are taking one step at a time. 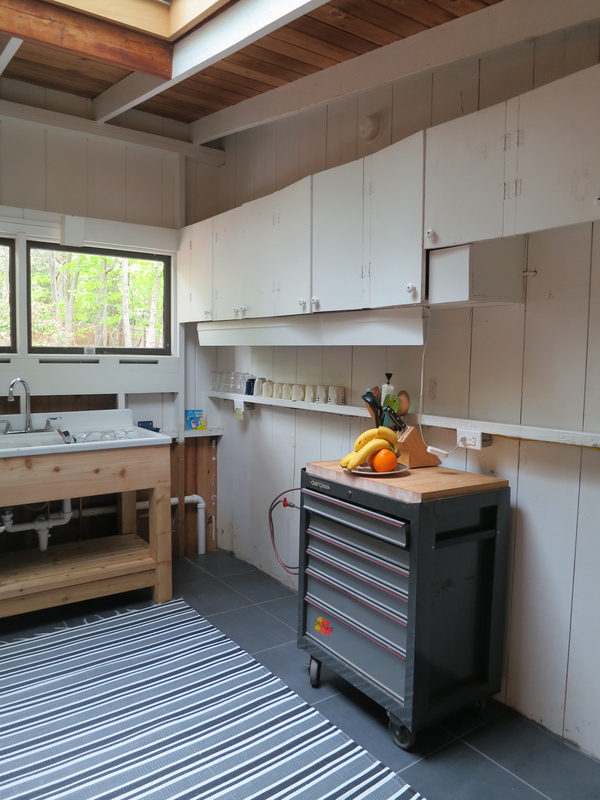 This is the kind of renovation I love to follow- one more aligned to the many homebuyers I work with who don’t always spend $500K right off the bat to get the home in show condition. I appreciate your updates. hi everyone, and as always, thanks for your support and suggestions. Good to hear from a few new people, along with my usual amen chorus;-) Ann, I won’t be needing the camp pooper in the house, fortunately, but it could be useful in the guest cottage when I get that together. And I’ll take those touch pad locks under advisement for my rental units. Sounds like a good idea. Nice to see an update on your renovation. You have done a good job. Oh thank God. I was freaking when I saw the camp pooper suggestion. Been thinking that with all that wood you have from those trees, you should put a wood burning stove in that fireplace. That would give you “heat” in all but the coldest months.